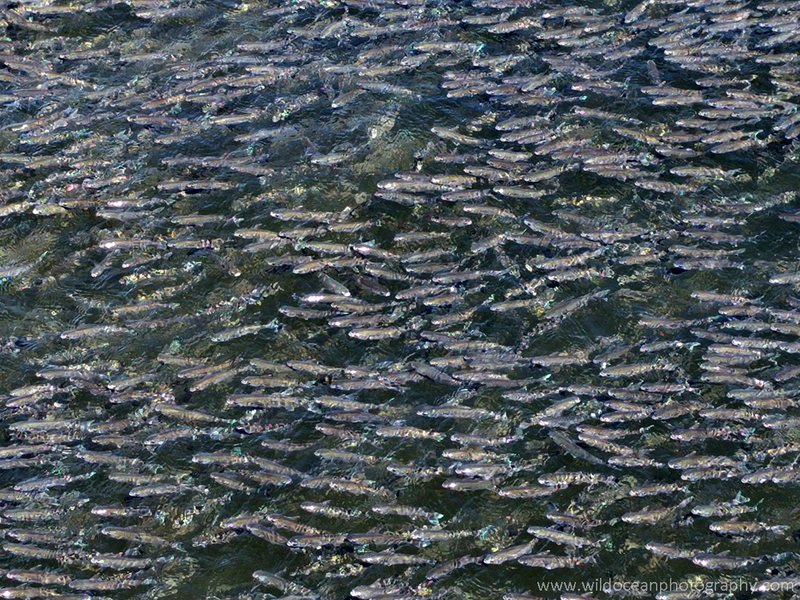 Every autumn a phenomenon called the 'Mullet Run' sweeps up the Florida coast, as millions of finger-size mullet head southwards along the Atlantic coast, following the warmer waters and their food supply of algae. It's quite a sight! 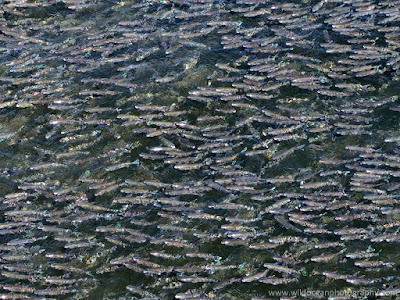 As these small fish migrate, they form vast schools in order to avoid their predators, which in turn follow along to feed. 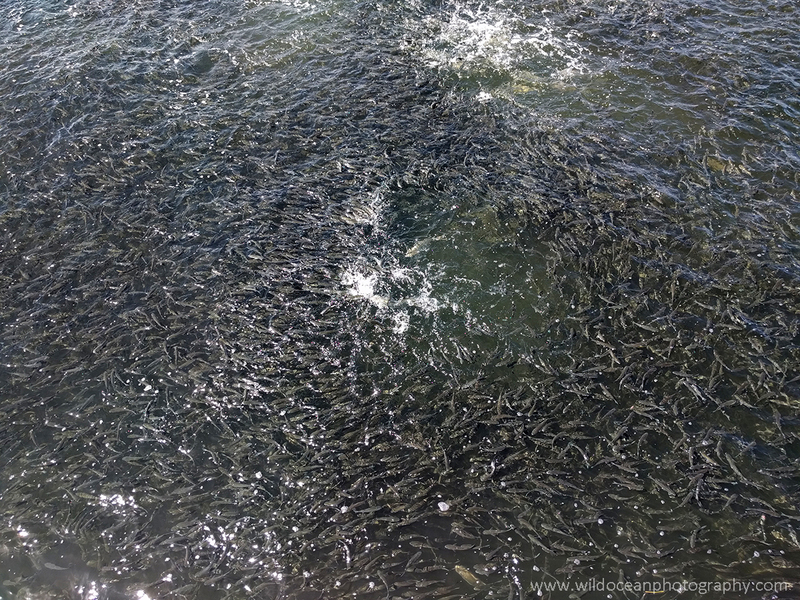 If you've ever seen wildlife documentaries of the sardine run in South Africa, this is something similar. Finger mullet in the harbour. The density of fish was this high everywhere! This year's mullet run happened to pass my work last week. 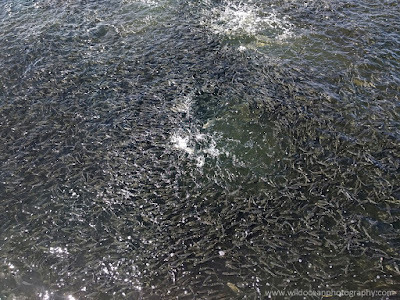 Overnight, the water in our boat dock became literally packed with mullet, as predatory jacks and pelicans chased them around the seawall at the entrance. Unfortunately, I only had my phone with me to take pictures with, but they at least give you a bit of an idea of just how many fish were all jammed in there together! By the next day, I had my big camera in work with me, but it was all over and the majority of the fish had moved on (of course!). Hopefully next year!